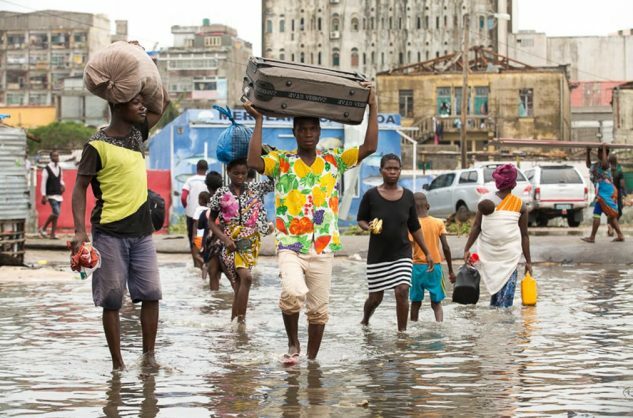 Tropical cyclone Idai has made headlines across southern Africa throughout the month of March. Lingering in the Mozambique Channel at tropical cyclone intensity for six days, the storm made landfall in Beira, Mozambique, in the middle of the month, then tracked in a westerly direction until its dissipation. The flooding has left hundreds of thousands of people homeless and displaced across the region while the death toll has continued to rise in the week following landfall. The effects of the cyclone were felt as far south as South Africa and introduced rolling blackouts due to damaged transmission lines that supply the country with 1,100MW of power from Cahora Bassa in northern Mozambique. Historically, nine storms that had reached tropical cyclone intensity made landfall in Mozambique. A larger number of weaker tropical systems, including tropical storms and depressions affect the region, with a total landfall of all tropical systems of 1.1 per annum. The most severe tropical cyclone to make landfall in Mozambique was tropical cyclone Eline in February 2000. It had a category 4 intensity on landfall and resulted in 150 deaths, 1,000 casualties from flooding, 300,000 people displaced and four ships sunk. Tropical cyclones are large storm systems. Immediately surrounding the eye of the storm – a region of calm weather, no wind and no rain – are spirals of storm clouds that span a minimum radius of ~100km. These cloud bands represent the thunderstorm conditions, with the rain and winds typical of a tropical cyclone. A ~100km radius is typical of category 1 tropical cyclones, the lowest intensity ones. As the storms intensify to categories 2, 3, 4 and 5, the size increases significantly. This means that a high-intensity storm, such as tropical cyclone Idai, has a range of impact significantly larger than the storm track that it follows. In recent years concerns have been growing about the impact of climate change on cyclones. Research has shown that changes to the world’s temperature, as well as ocean warming, are responsible for an increase in the severity of tropical cyclones. This has recently been researchedfor the South Indian Ocean. As the ocean is warming, the region which experiences temperatures conducive to tropical cyclone formation is expanding and temperatures in the tropical regions are becoming warm enough for cyclone intensification. Category 5 tropical cyclones, which have been experienced in the North Atlantic for almost a century, started to occur in the South Indian Ocean since 1994, and have occurred increasingly frequently since then.